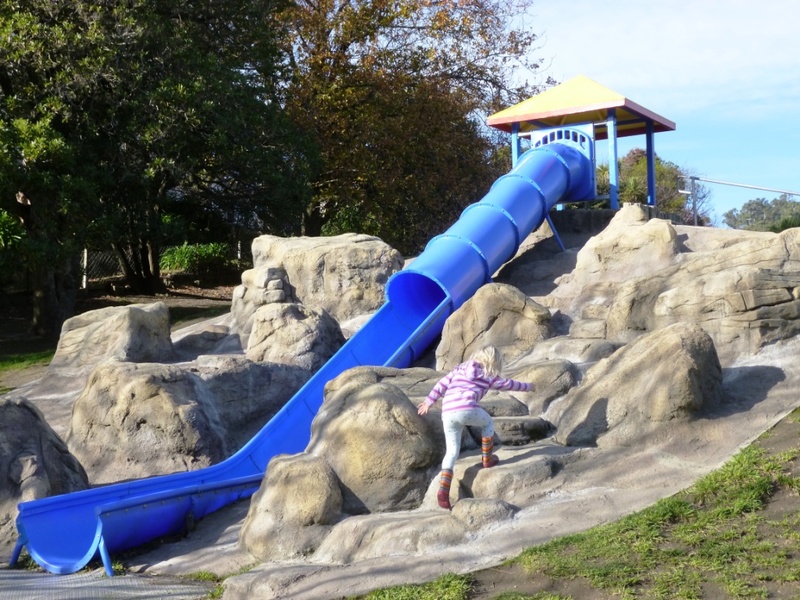 Cashmere Playground is a popular spot and boasts a very cool slide. It’s located on Cashmere Road at the foot of the hills, and opposite the river. The playground equipment is modern and varied, and being on a slight hillside adds some interest. Facilities-wise – there’s a port-a-loo and a drinking fountain. We visited Cashmere Playground (with Nana and Pops!) in June 2015. From here, you can wander along the river a bit and check out Ernle Clark Reserve. Zeroes Cafe is also just beside the playground.